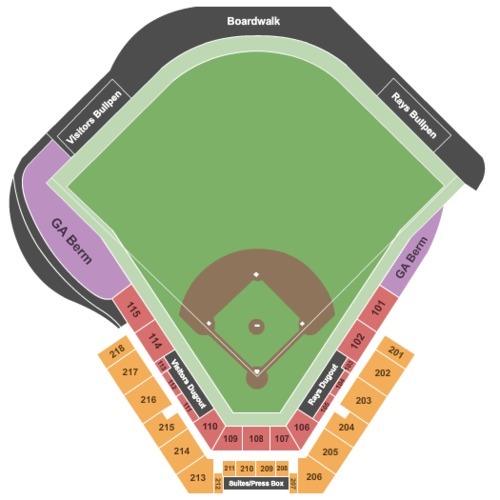 Charlotte Sports Park Tickets, Seating Charts and Schedule in Port Charlotte FL at StubPass! Enter your email address and zip code below and our event team will alert you when Charlotte Sports Park tickets become available. Charlotte Sports Park is one of the premier facilities to see your favorite events. This state of the art venue has a large seating capacity and offers a wonderful viewpoint regardless of the seat location. Located in Port Charlotte, Florida, the Charlotte Sports Park is convenient for both public and private transportation. Don't delay, get your Charlotte Sports Park tickets today!